If you'd like to toast some of the coconut, spread it in a single layer in a large, dry skillet over medium heat. Cook, stirring and turning constantly until the coconut is lightly browned. Sweetened coconut browns quickly, so watch carefully. Pour into a bowl to cool before sprinkling over the whipped topping. 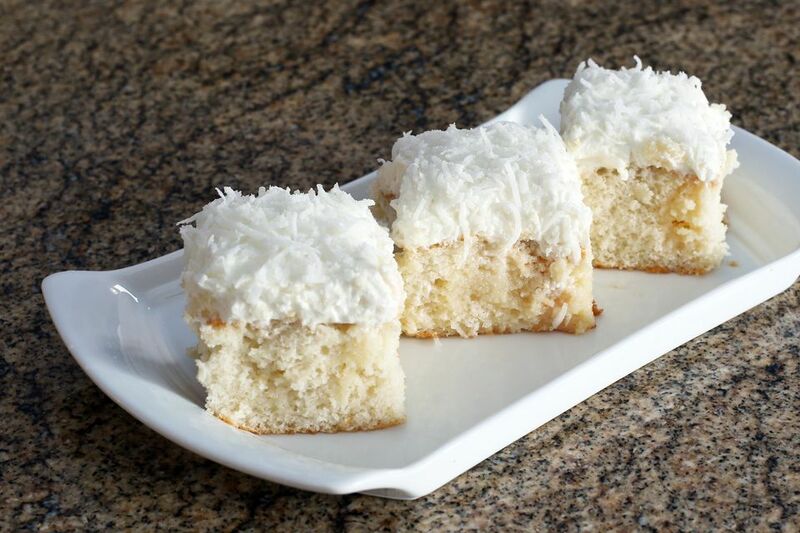 Toasting even a small amount of the coconut adds extra texture and color to the cake. Make and bake the cake according to package directions, in a greased and floured 9x13 pan. As soon as the cake comes out of the oven poke holes all over the cake. In a bowl, combine Coco Casa or another cream of coconut and 1 can of sweetened condensed milk; pour over the cake. When the cake is completely cool, spread whipped topping over top and sprinkle with coconut. Cover the cake and refrigerate until it is thoroughly chilled before serving. It's a rich cake, so cut small pieces.